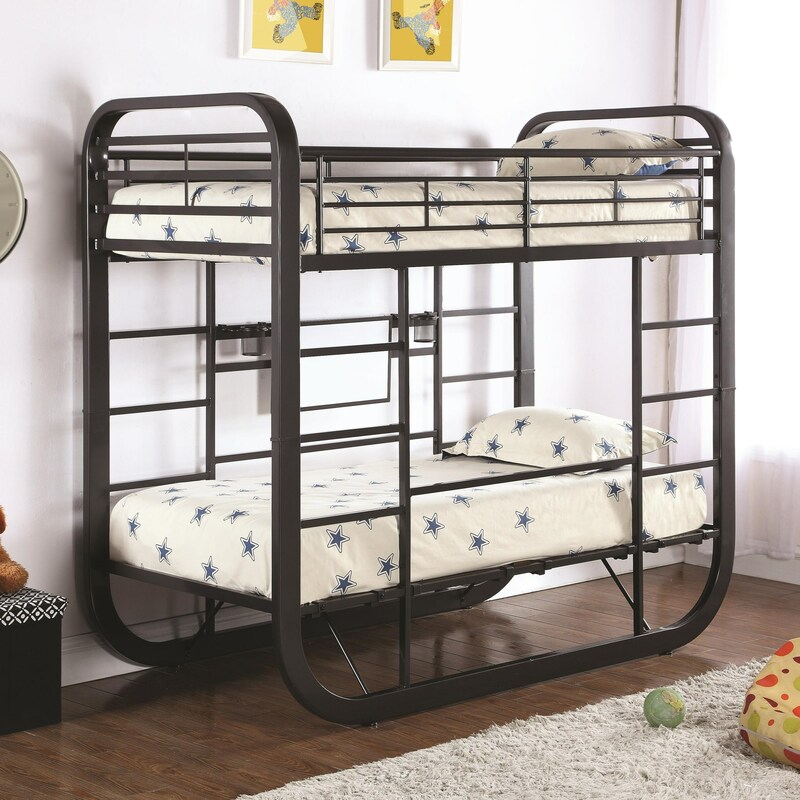 This multi-functional bunk bed is perfect for an active youth's bedroom. Easily converting between a picnic style workstation and a twin bed, this bed provides options for all sorts of activities. The bed is durably made from steel, MDF, and engineered veneer and includes a white board, marker storage, and tablet slots. 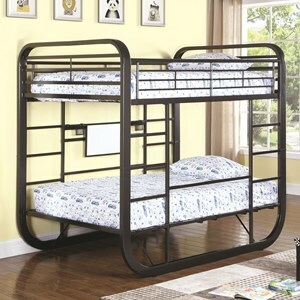 The Archer Twin Workstation Bunk Bed by Coaster at Value City Furniture in the New Jersey, NJ, Staten Island, Hoboken area. Product availability may vary. Contact us for the most current availability on this product. 400020TB2 Twin Workstation Bunk Bed 1 0" 0" 0"
400020TB1 Twin Workstation Bunk Bed 1 0" 0" 0"
Browse other items in the Archer collection from Value City Furniture in the New Jersey, NJ, Staten Island, Hoboken area.